Jayden Clark knows she is overqualified for a Girl Friday position with Regent Realty, and she has just vowed to never again engage in a workplace relationship. But Tahiti beckons, and so does Nick Regent, the six-foot-four, incredibly appealing owner of the company. She knows her heart is at risk, but that’s just the beginning of the danger she’ll face in paradise. Danger, delight, & 5-star reading – just $1.97! John Arrowsmith, an ex-cop at the bottom of his life looking for a way up, is beginning a supernatural journey and before it’s over: people will be healed, a priest will regain his faith, a new Christian movement will begin, a woman will find love, a man will die, and the world will meet the real Jesus for the first time. 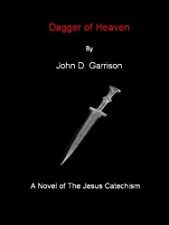 When an ex-girlfriend appears carrying a religious manuscript called the Gospel of Jesus, it is either heaven sent or hell sent, and he isn’t sure which.